MILWAUKEE – (September 25, 2018) – Johnson Controls announces a new line of cloud-powered network video surveillance cameras with Tyco’s Smartvue Camera 2 Cloud. Tyco’s Smartvue Camera 2 Cloud offers a secure, simple to install, easy-to-use cloud-based video surveillance management service—no on-site servers, storage or components are needed. The cameras are ideal for securing retail establishments, convenience stores, franchises, healthcare facilities, K-12 education buildings and smart cities, and work independently or added as a remote extension to an existing Smartvue network. Additional cameras can be added easily and controlled through Cloudvue, a single pane of glass interface that’s accessible anywhere, anytime on any device. The integrated service enables secure, centralized global management of cameras, providing support for local privacy requirements and regulations across 140 countries. "Demand is growing for trusted cloud-based video surveillance solutions," says Martin Renkis, CEO of Smartvue Cloud and IoT Video Services at Johnson Controls. "Offering this new secure and cost-effective add-on to our proven cloud platform creates new video-as-a-service opportunities for our partners and simple solutions for our customers." Securing surveillance in the cloud is often more secure than onsite. The Smartvue Camera 2 Cloud platform works in conjunction with Illustra Camera 2 Cloud to provide secure and encrypted video and communication end-to-end. Video is secure and encrypted from the camera, through transmission, to the cloud and when stored. The Smartvue cloud provides live or recorded video surveillance that can be viewed on any smartphone, tablet or computer using a web browser or native mobile apps, all without the security risks of plug-ins such as web video players. It’s easy to set recording schedules and automated trigger alerts, enable motion detection and more. Other features include Hypervue search, constant or motion recording options, to optimize bandwidth, MotionMonitor, open APIs, and a brand-new web interface. 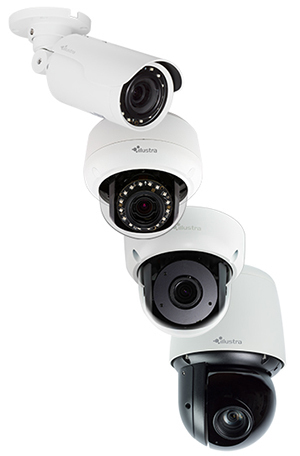 For more information about Tyco’s Smartvue Camera 2 Cloud, visit https://smartvue.live/camera-2-cloud.